On May 1, 2018, Town of Mountain Village implemented a Summer Water Conservation Resident Program in anticipation of a dry season restricting outside irrigation. We maintain the domestic water system for in-home use, landscape irrigation and fire protection. It is our goal to serve all the water needs of our customers. 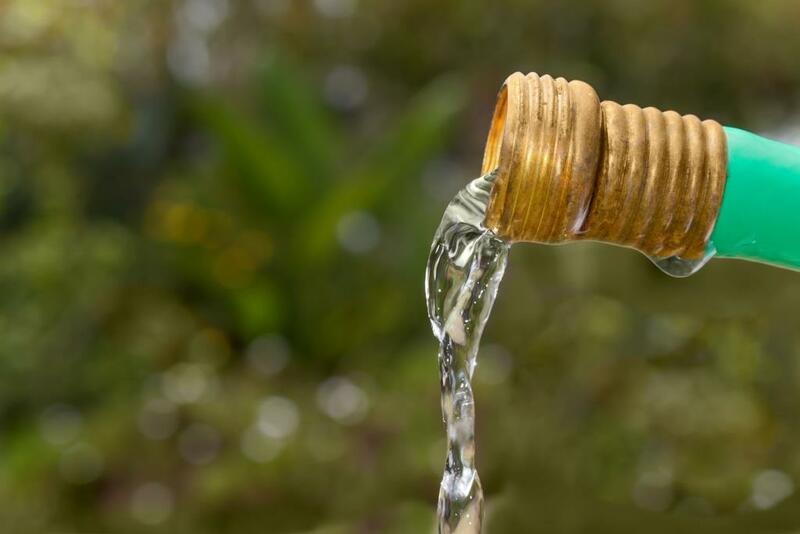 While water appears to be abundant in our mountain community, we in fact live in a high mountain desert so it is very important that we all make an effort to conserve water. When you conserve water, it saves you money and helps the environment by easing the burden on our water collection, storage, purification and distribution facilities. Learn more about our Smart Irrigation Controls incentive program rebate and use only the water you need to achieve desired results on your property. Water loss and water conservation are two separate concepts. Water loss is an unintentional consequence that occurs both inside and outside the home when water infrastructure breaks or does not function properly. Examples of unintentional water loss include leaking/running toilets, broken pipes or broken sprinkler systems. When water loss goes undetected, you can incur significant costs for the water that was wasted. In addition, this water requires a significant amount of energy to be pumped up from deep in the ground, collected, purified and distributed by us. Install a water leak detection system, such as a FloLogic device, that is designed to prevent water loss in the event of an unknown leak. These systems shut off the water to your home if there is water running outside of the times of normal water use settings. For example, you could set the system to run unrestricted for two hours (enough time to do a load of laundry or run the dishwasher), but if water runs for a longer length of time (indicating a leak in the home), the system will detect that water is continuously running and will turn off the water to your home, preventing water loss. This type of system also works well to prevent water loss when residents are out of town for extended periods of time. Work with your property manager and/or plumber to properly install, program and monitor a home water leak detection system. Install a master valve on your lawn irrigation system. A master valve is a device that operates in conjunction with your lawn irrigation controller and is typically installed upstream of all valves on your irrigation system. The master valve only allows water to flow during your scheduled irrigation run times, thus protecting against undetected leaks in your irrigation system. For a sprinkler zone to turn on, both the master valve and the individual zone valve must turn on to have water. Work with your landscaping or irrigation professionals to properly install, program and monitor an irrigation master valve. Have your irrigation system checked regularly. An unintended leak in your irrigation system, with a hole as small as 1/16 of an inch, can waste as much as 25,000 gallons of water in a month. Use a cover over your pool or spa to reduce water loss from evaporation by over 90 percent. Fix a running toilet to save between 25,000 and 50,000 gallons of water a month. Place a few drops of food coloring into the tank to see if it disappears without flushing, an indication of a leak. Tighten your faucets. A faucet leaking every three seconds will waste more than 30 gallons of water a month. Water conservation measures are voluntary ways you can reduce water use, both inside and outside the home, to protect and preserve precious water resources. Globally, water is becoming an increasingly scarce resource, so please follow these tips. To reduce water use in your yard, add mulch to the soil. This helps retain moisture, protects the soil from scorching, and encourages the retention of nutrients. Colorado residents are permitted to collect up to 110 gallons (or two, 55-gallon drums) of rainwater from their rooftops per home. This free and untreated water can be used for outdoor uses only including watering lawns, gardens and landscaping. Water overnight or before dawn to avoid evaporation, and when you do water do so infrequently, deeply and thoroughly. If you want your lawn to stay weed-free, keep the grass long rather than cutting it too short. Taller blades shade the roots, which discourages weed growth. Four inches is the recommended height of grass for optimal water conservation. Use a trigger-style nozzle on your garden hose to help control the amount of water used for watering and car washing. If you have a water feature in your garden, use a solar-powered water pump rather than electricity to keep it running. Remember to turn off the faucet while you’re brushing your teeth. The water saved during one instance of brushing your teeth is about five gallons. Fill the sink or turn off the faucet while lathering hands to save one-to- two-gallons of water. An efficient, five-minute shower uses less than 10 gallons of water.Taking a shower instead of a bath will save 20-to- 30-gallons of water. If you opt for a bath, make it shallow. When showering, instead of stepping in and out of the water’s flow, turn the water off while you wash or shampoo and turn the water back on to rinse. Catch water used to rinse fruits and vegetables and use it to water household plants. Put water in the sink to rinse your razor instead of leaving the water running to save up to 20 gallons of water. Run dishwashers with full loads only. Running half loads is environmentally damaging, uneconomical and won’t save you any additional time. Water will boil more quickly – and therefore more efficiently – if you place a lid on the pot. Presoak heavily soiled clothes in a solution of water and baking soda instead of adding more detergent or using hotter water. When doing laundry, make sure to wash a full load. This may save up to 1,000 gallons of water each month. Instead of automatically throwing everything you’ve worn once into the laundry pile, only wash clothes that really need it. Save energy with every wash load – select a cold rinse cycle instead of warm or hot one.